As far as I know (and I don’t know for sure), copies of my new breweries book, Built to Brew, will be available from about 28 May. 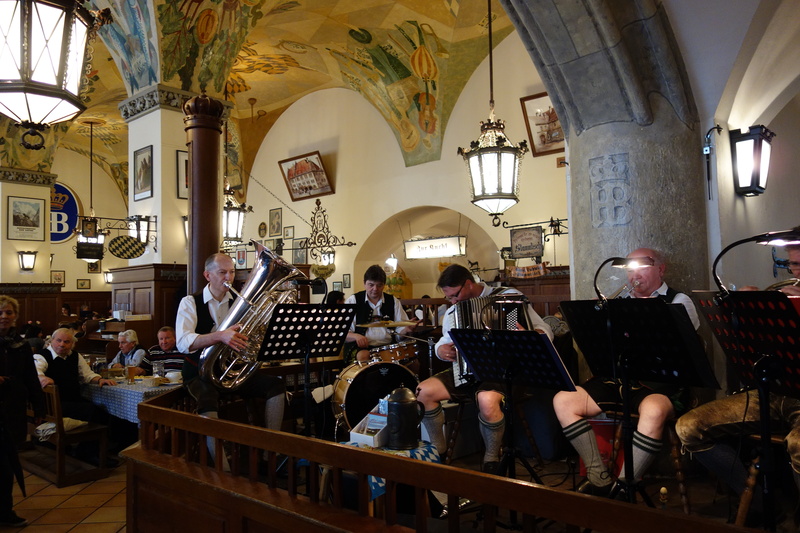 So here’s a photo of an ‘ooompah’ band at the Hofbrauhaus in Munich to warm everyone up for forthcoming celebrations. This entry was posted in Built to Brew and tagged Germany. Bookmark the permalink.